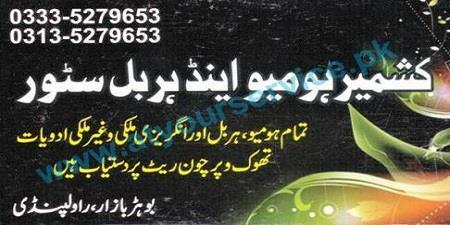 Kashmir Homoeo & Herbal Store is located in Bohar Bazar, Rawalpindi. We deal with all kind of local and imported homeopathic & herbal medicine. Visit us for quality homeopathic & herbal medicine in Rawalpindi.